Merry Christmas, friends! 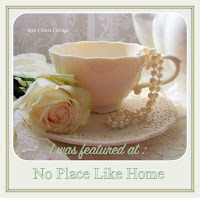 Welcome to Tablescape Thursday! Today’s tablescape takes on a farmhouse theme. I am from a rural community in Oklahoma and grew up on a cattle ranch. Therefore, this tablescape speaks to my roots. My favorite collection of Christmas farm plates and thoughts of family were the inspiration for this table. I chose not to use a tablecloth on my tablescape. I wanted to keep things simple to reflect the farmhouse theme. Instead, I used a pretty table runner and burlap placemats. These farmhouse plates were collected a few years ago and are from the Walmart Better Homes and Gardens Christmas Collection. I have collected their different patterns throughout the years, but these are by far my favorite. My Grandmother had a beautiful red barn, and these plates remind me of her. I can remember a lot of Summers when my Dad would work feverishly painting the red barn to make sure it always looked it’s best. My favorite blue and white cow pitcher filled with Christmas greens flanked by red candles make up the centerpiece. I also placed my favorite sugar and creamer with my pitcher. Thank you to all who follow my blog. Your kindness has warmed my heart! I will not be blogging until after the first of the year, but I promise I will be back with new projects to share. I want to wish you a very Merry Christmas filled with lots of love, joy, and peace. Please savor every moment of this special time with your family and loved ones, and know I will be doing the same. which will be to all the people. Lovely farmhouse table! I have some of these same plates and enjoy using them each Christmas. Merry Christmas to you and your family! Thank you, Zenda! I hope that you and your family have a very Merry Christmas, too!!! Sweet Shannon, your table is beautiful as always with that sweet cow pitcher and the BHG plates with the red barn! Thank you for the beautiful scriptures…enjoy the season and wishing you and yours a very Merry Christmas! Thank you so much, Pam! I hope that you are having a most joyful week and that you and your family have a very Merry Christmas!!! What a lovely table! I have those BH&G plates too, and I do enjoy them. I really like how you paired them with blue/white plates underneath. Have a wonderful Christmas and a New Year filled with blessings. Thank you, Joy, for your very sweet comment. I hope that you had a wonderful Christmas, and I want to wish you a very happy, healthy, and blessed New Year!!! What a delightful tablescape! Love its beauty and simplicity! Thank you for sharing! Merry Christmas! Thank you, Martha, for the very sweet and kind words. I hope that you had a wonderful Christmas! Happy New Year!!! How lovely and elegant. Wishing you and yours a Merry Christmas and a 2017 full of blessings. Thank you, Marilyn, for the very sweet and kind words. I hope that you had a wonderful Christmas! I wish you a very happy, healthy, and blessed New Year!!! Beautiful Farm House table! Love the creamer and sugar bowl! And you have inspired me to get out and buy some pretty dishes from the Walmart Collections! Thank you, Nance, for your very sweet and kind words. Walmart does have some great holiday dishes ( if you can find them). They tend to sell out fast around here. I hope that you had a wonderful Christmas, and I want to wish you a very happy, healthy, and blessed New Year!!! Merry Christmas and Happy New Year Shannon! I love your cheery farmhouse Christmas table, and your snowy red barn plates. Wonderful memories here, I hope you are having a lovely holiday! Thank you so much, Jenna, for the very sweet and kind words! I hope that you had a wonderful Christmas, and I want to wish you a very happy, healthy, and blessed New Year!!! Shannon, this is such a lovley setting! I hope that you and your family had wonderful holiday meals here. The plates are so beautiful, that they evoke a special memory for you makes them all the better! Wishing you a blessed new year! Thank you, Lidy, for your very sweet and kind words. I hope that you had a wonderful Christmas, and I want to wish you a happy, healthy, and blessed New Year!! !